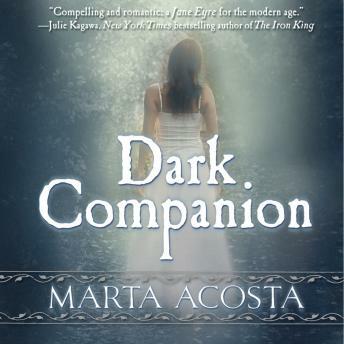 Jane Eyre meets Twilight in Dark Companion, a lush and romantic YA gothic tale about an orphaned girl who attends an exclusive private school and finds herself torn between the headmistress's two sons. Orphaned at the age of six, Jane Williams has grown up in a series of foster homes, learning to survive in the shadows of life. Through hard work and determination, she manages to win a scholarship to the exclusive Birch Grove Academy. There, for the first time, Jane finds herself accepted by a group of friends. She even starts tutoring the headmistress's gorgeous son, Lucien. Things seem too good to be true. The more she learns about Birch Grove's recent past, the more Jane comes to suspect that there is something sinister going on. Why did the wife of a popular teacher kill herself? What happened to the former scholarship student, whose place Jane took? Why does Lucien's brother, Jack, seem to dislike her so much?